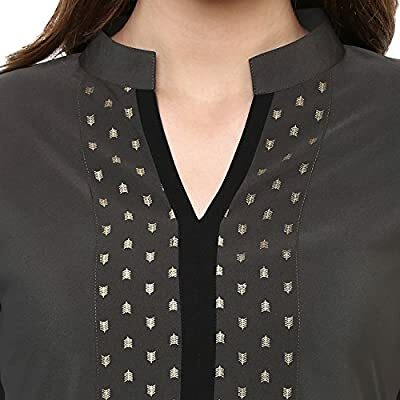 Perfect For Everyday Wear Is This Grey Coloured Kurta From Ziyaa. 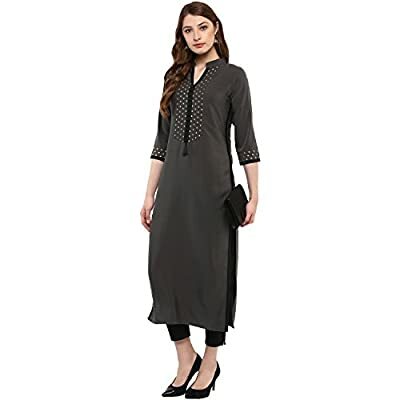 This Kurta With Chinese Collar And 3/4 Sleeve. 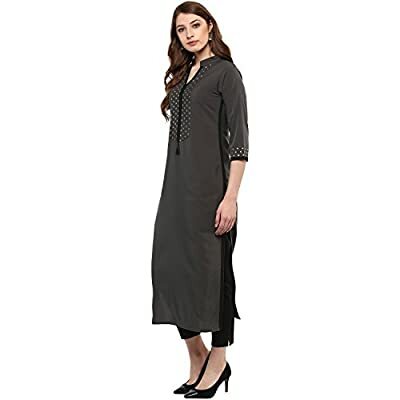 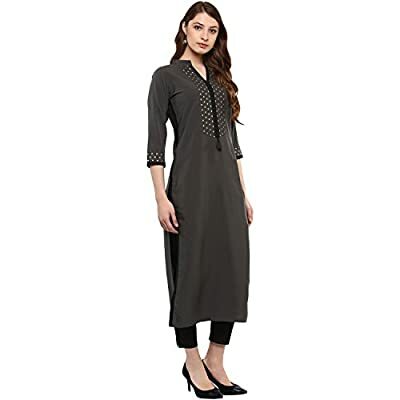 Made From Crepe, This Kurta Is Comfortable To Wear With Heels And Contrast Leggings. 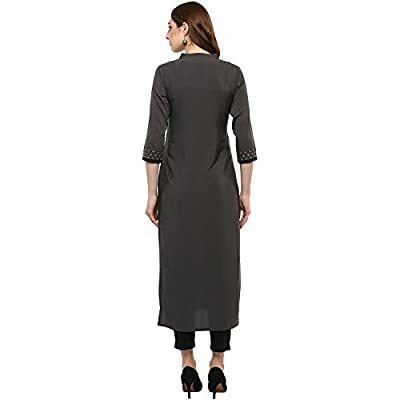 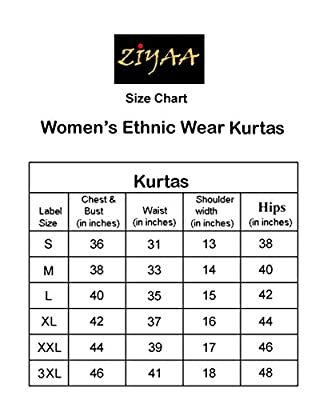 Fabric : Crepe Chinese Collar 3/4Th Sleeve Solid Straight Kurta Available Size:S,M,L,XL,XXL,XXXL Straight Kurta Please check ZIYAA size chart for the garments measurements and order a garment size that is at least 2" greater than your body measurement for the ease of putting on and taking off the garment.